Techniseal, a manufacturer and distributor of products for the installation and maintenance of exterior surfaces, introduced StructureBond, a construction adhesive that bonds almost any construction materials, according to the company. According to Techniseal, the foam formula contains less filling material than traditional tube adhesives, giving more space to the polyurethane and allowing StructureBond to easily penetrate porous materials such as brick and concrete. 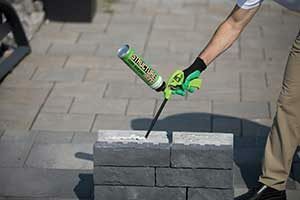 The gun applicator is easy to use and offers contractors precise delivery with no mess and no waste, Techniseal said.